A heavily armed Iranian military force arrived at Sulaymaniyah International Airport in the autonomous northern Kurdistan region of Iraq this week en route to Kirkuk to help defend Shiite shrines from Sunni militant attacks, pan-Arab Asharq Al-Awsat, quoting an Iraqi Kurdish security official, reported Thursday. 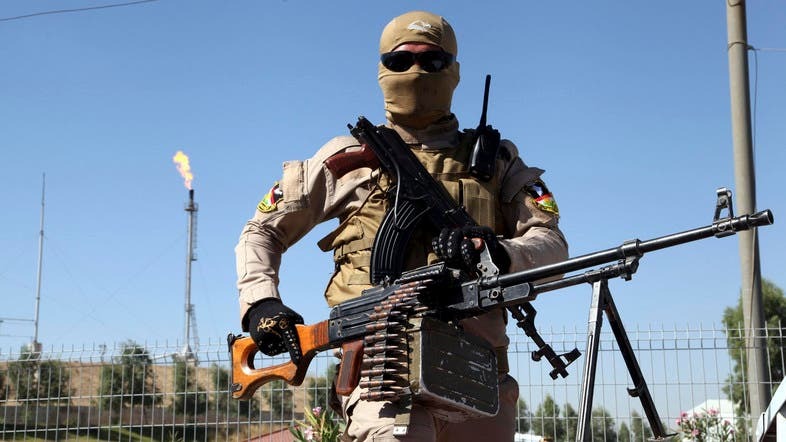 The senior official, who spoke on condition of anonymity because he was not allowed to brief the media about the Iranian military, told the daily that the 200-strong elite Iranian military force was granted access to Kirkuk province from the Patriotic Union of Kurdistan (PUK). The PUK facilitated the Iranians force’s movement through Kirkuk, the source added. He said the top Iranian leading forces were trained in guerilla warfare and were armed with “sophisticated” weapons to aid in fighting the Islamic State of Iraq and Syria in order to protect Shiite shrines. He also added that the heavily armed military would lift the siege imposed by ISIS on the Shiite and Turkmen communities there. However, Arez Abdullah, a senior PUK member, denied all the claims to Asharq Al-Awsat. He said his party did not aid the Iranian military. He said the report was full of “lies,” stressing that the PUK does not interfere with any affairs with the Iraqi government. “Although the PUK enjoys extensive relations with all parties in the region, we emphasize that no country has the right to interfere in the domestic affairs of either the Iraqi Kurdistan Region or Iraq as a whole without the approval of the Erbil and Baghdad governments,” he said, in comments to Asharq Al-Awsat. Numerous international sources reported that the allied forces with the Iranian Revolutionary Guards Corp (IRGC) are currently in Iraq. However, this is the first report alleging Kurdistan is facilitating the Iranian military to intervene.